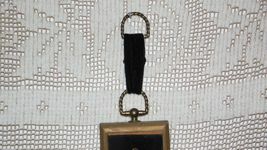 Top-Rated SellerVintageArray consistently earns high ratings from buyers thanks to fast shipping and excellent service. 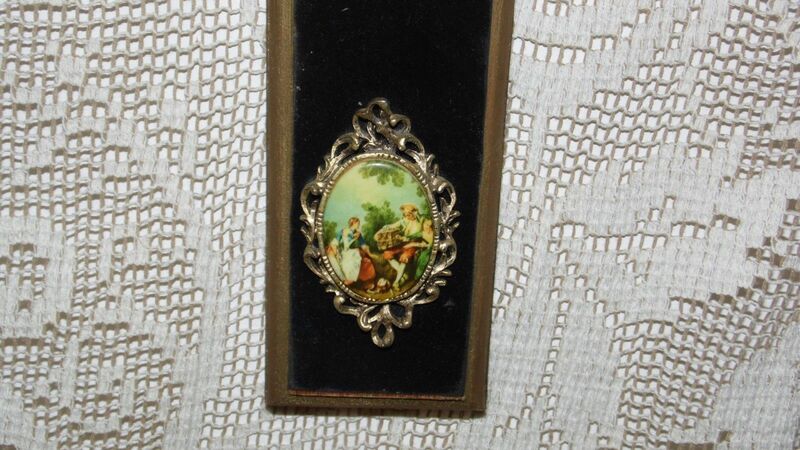 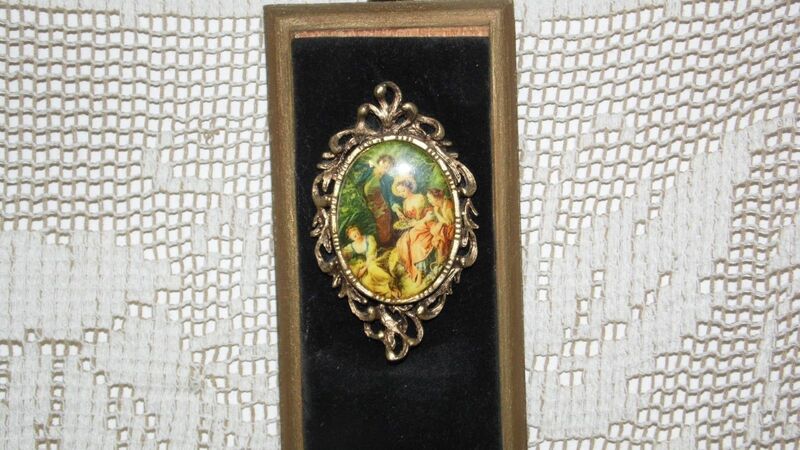 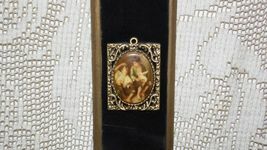 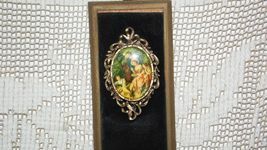 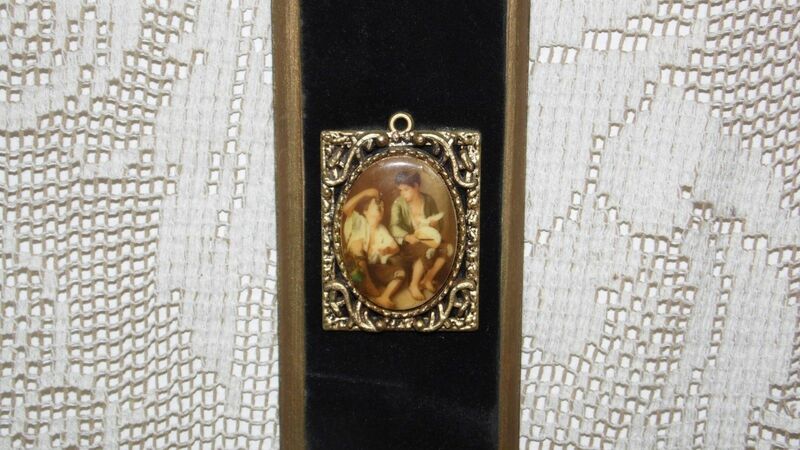 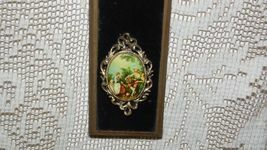 VINTAGE FRENCH COURTING COUPLE PORCELAIN CAMEOS ON VELVET WOOD WALL HANGING. 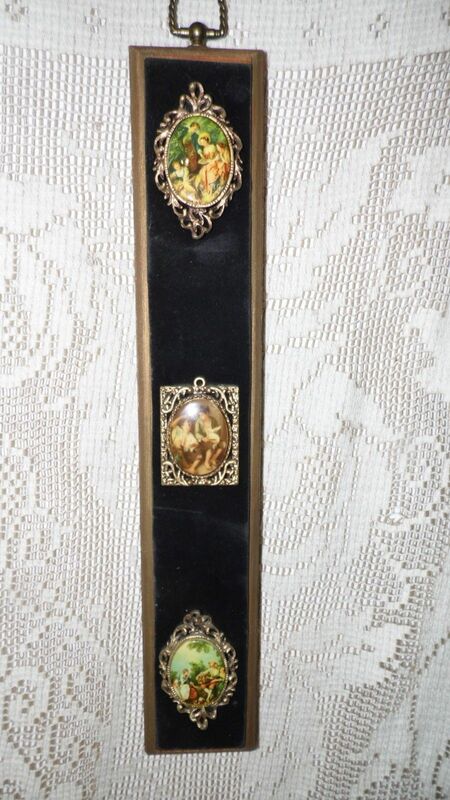 BRASS FILIGREE DESIGN. 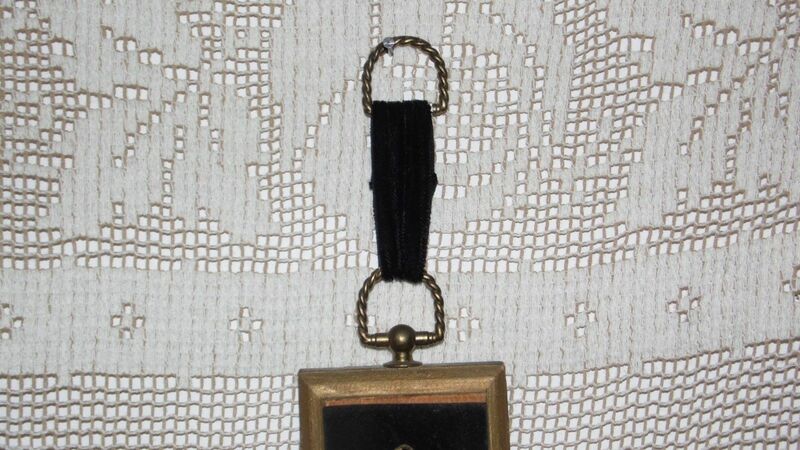 BLACK VELVET BACKING ON WOOD. 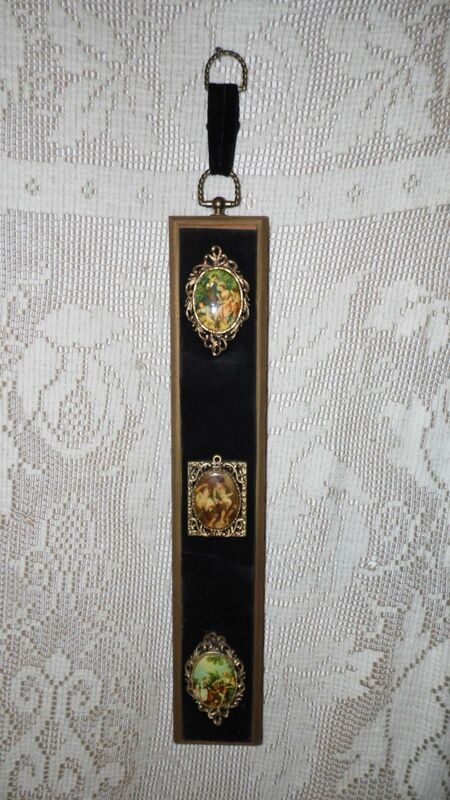 MEASURES 19 INCH TALL BY 2.5 INCH WIDE BY 1 INCH WIDE DEPTH.